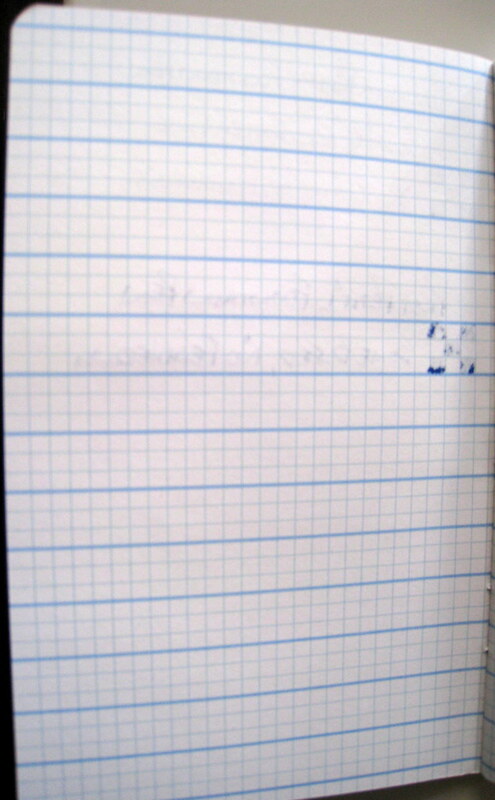 The first thing I noticed about the utility notebook was how sturdy it feels. Compared side by side to the Moleskine Cahier (64 pages) and the Field Notes Memo Book (48 pages), it is much thicker, as well as stiffer. I've only had it for a few days, but it seems like it is going to handle knocking around in my backpack or back pocket better than the Moleskine or Field Notes. But on that note, the notebook is hard to spread flat right now. I am hoping that is it just the newness of it, and once I break it in, it will be just fine. The Doane Utility notebook sandwiched between the Field Notes Memo Book (top) and the Moleskine Cahier (bottom). Click all photos to enlarge. 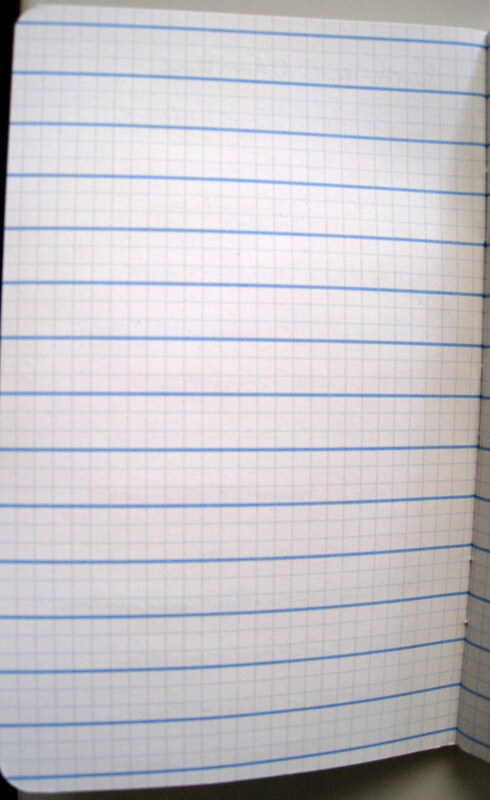 The paper in the Doane Utility Notebook performed well. Gel ink, ballpoint, and felt tip pens all did great. The paper was smooth, and the grid lines provided a nice background no matter the color I used. The best part about it was there was little to no bleed. From the back side of the page, you couldn't even tell that I had written on the front. 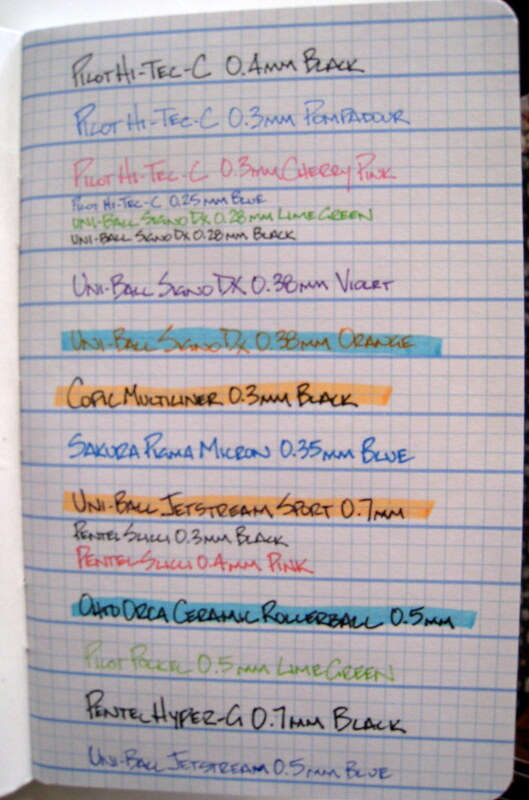 Fountain pens, on the other hand, may be an issue. I don't have any real fountain pens (I am going to order something nice for notebook testing very soon), but I do have a Platinum Preppy and a Pilot Petit. 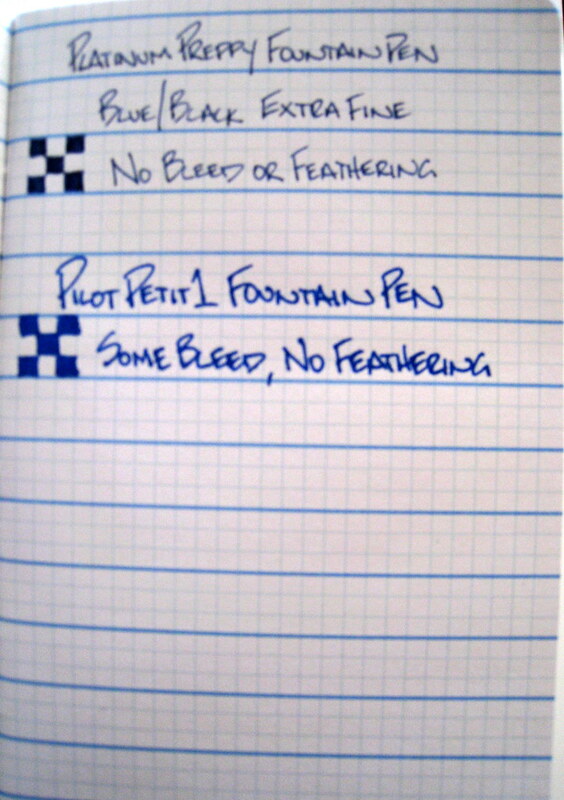 The Preppy did fine, but the Petit bled through pretty easily, and my guess is that will be the case with most fountain pens inks. I'll test it more once I get another fountain pen to try. 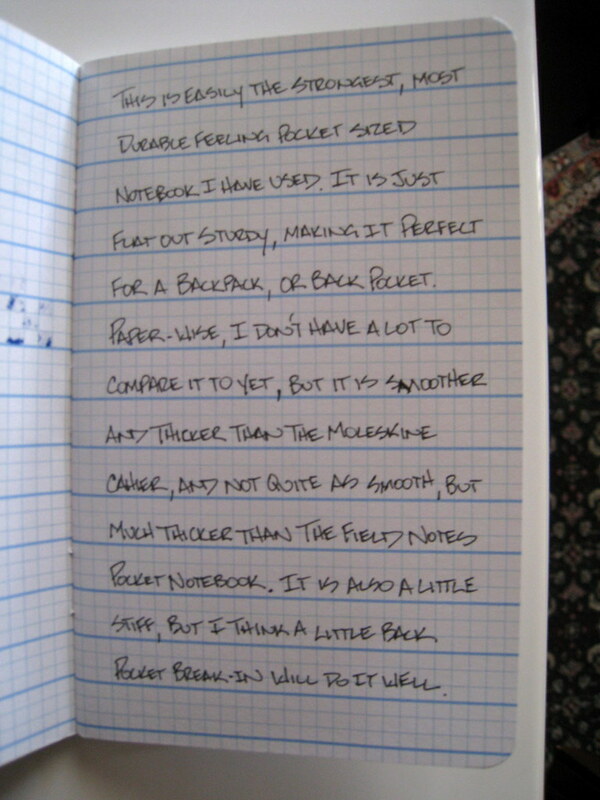 All in all, the Doane Utility Notebook is a great addition to the pocket size notebook field. For me, it is going to replace my Moleskine Cahier and Field Notes as my portable notebook of choice. Posted on November 6, 2008 by Brad Dowdy.